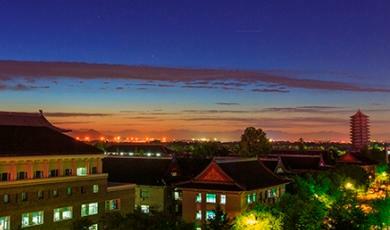 International Students may live on campus at the Shao Yuan Student Dormitory or Zhongguanyuan Global Village. Students who live on campus must abide by the rules and regulations of their residence. International Students who extended their duration of study will not be provided with on-campus housing arrangements. Students may also choose to live off campus under the condition that they must register themselves at the police station of their residential area and obtain Accommodation Certificate from the local police station. If you are living off campus, do ensure that your rental contract with you landlord is legitimate and reliable. 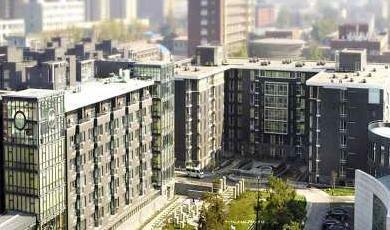 Students who changed their address and contact information while they are studying at Peking University must inform the Division for International Students Office of their new and recent address, telephone number and email. It is important for the Division for International Students’ Office to be able to contact its students because it often sends out important notifications to them. The Division of International Students’ Office maintains a strict policy of keeping all contact information confidential. Students may dine at the Shao Yuan cafeteria, Zhongguanyuan Global Village cafeteria or at other canteens and restaurants on campus. The restaurants are usually a little more expansive than the cafeterias. Convenient stores such as WuMei Mini Mart, Boshi Convenient Store and BeiXin Market can be found on campus students may purchase their daily necessities as well as groceries. Do look up the campus map to find out the location of these stores. Other facilities miscellaneous facilities that are available in PKU include: hospitals, post office, banks, bookstores, laundry mat, photo development shop and a theater. According to the relevant regulations of the Beijing Municipal Public Security Bureau Exit-Entry Administration Office, students currently studying in China must first get a stamped visa application form from the international student office of their school. Students must bring this visa application form and other required documents to the Beijing Municipal Public Security Bureau Exit-Entry Administration Office or they can pay a fee (100 RMB) to a visa agency which handles the application on their behalf. Under normal circumstances, 7 to 15 working days are needed to process the application. Students must make photocopies of their passport and visa page since the passport will be taken away during the process. Foreigners must get a housing registration form within the 24 hours after their arrival in China. In most cases a temporary housing registration form has to be filled in. 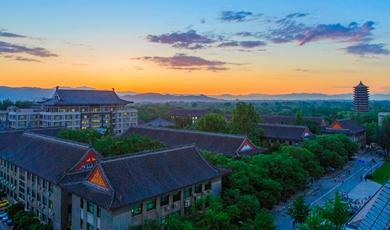 If you live on the campus of Peking University or a hotel, simply go to the reception desk of your residence. If you rent an apartment off campus, you must visit the local police station promptly with your landlord. Please note that if you have renewed your passport or visa, or changed your address, you must re-apply for a new housing registration form within 10 days. Failure to do so, you will be regarded as an illegal resident and fined heavily accordingly. All International Students must be medically insured throughout their entire planned period of study. The health plan purchased by the students must at least provide medical coverage for Accidental Injuries and Hospitalization. Recipients of the Chinese Government Scholarship will have their health plan prepared/purchased by the government; other students must purchase their own insurance. 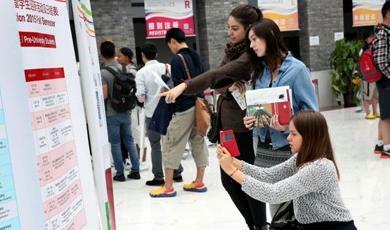 Students may purchase their health plan before or after their arrival in China. Please inquire from your insurance company the details regarding the insurance claim procedures and the phone number of your insurance’s emergency call center. All students who purchased their insurance from a foreign insurance company are required to submit a copy of their health plan and a Medical Insurance Certificate Form to the Division of International Students Office on the day of registration. Please note that your Medical Insurance Certificate must be written in either English or Chinese language. Students who are not medically insured and/ failed to provide the university with the required supporting insurance documents are not allowed to register. The Peking University Campus Hospital and the Peking University Third Hospital are equipped with sufficient medical facilities that are accessible to our students. If you are feeling ill, please bring your Student ID Card to these hospitals to register and arrange for medical appointments. Students may also visit the neighboring hospitals near PKU, they are: The Haidian Hospital at Huangzhuang and the Traditional Chinese Hospital at Xiyuan. Other main hospitals in Beijing include: the Peking Medical College Hospital, the Beijing Hospital, the Sino-Japanese Friendship Hospital and the Tongren Hospital. Since all international students have to be medically insured, it is important for you to make sure that your health plan provides coverage for all hospital medical treatments. It serves to be helpful that you inquire from your insurance company regarding the specifics of your insurance plan and its validity in Beijing. 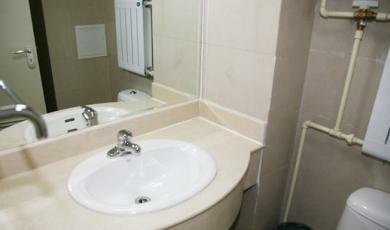 Address: 2 Chong Wen Men Nei Rd. 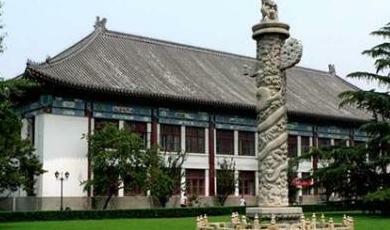 The Peking University Library is one of the largest university’s libraries in Asia and has a collection of over 7 million books. Due to security reasons, students are required to swipe their campus card, which serves as their library card, at the building’s entrance in order to enter the library. The library’s loan period for books is one month. Students may renew their books in person at the library or online at the library’s website, http://www.lib.pku.edu.cn. Students with late returns will be penalized according to the library’s rules and regulations. Each program’s department generally has its own library, you may inquire from your program’s department regarding its facilities and its borrowing-procedures. After log in on the website of the library, you may reserve books, renew the books and check the status of the books. When logging in you need to use your student number and password. If you encounter any problems when you borrow books, you may ask the library workers online. Visiting students and research scholars who would like to borrow books must take their Campus Card to the Library Card Office and pay the deposit. When they leave the university, they could go to the library to cancel their account and get back the deposit. All Internationals Students’ dormitories or rooms have Internet connection. You may also access the Internet at the Computer Services Center (计算机中心)，at the library, or at the Internet cafes on/off-campus. The on-campus Internet café is located at Shao Yuan Building 7. Students who desire to gain access to non-Chinese web pages, also known as International web pages (国际网), will need to open an Internet account at the Computer Service Center. To open an Internet account, you will need to present your Student ID Card to the staffs and pay a monthly Internet fee. If any problem arises regarding your room’s Internet connection, please contact the Computer Service Center (located at the Natural Science Building 1, room 1340; telephone number: 6275-1024). The PKU four-week Chinese Language Studies Program is organized and administered by the International Students Division, and taught in the School of Chinese as a Second Language. Upon completion of the program, those students who meet the assessment criteria will be issued with a certificate and transcript from Peking University. Students will be divided into 3 levels—elementary, intermediate, and advanced. There will be four hours of teaching each day, a total of twenty hours per week. The specific dates for the programs will be confirmed in the admission letter. Applications are on a ‘rolling’ (first come, first served) basis – until all places are filled. Step 2: Submit e-documents online. Applicants can check the status of their application online, by logging into the application system. Successful applicants should pay the tuition fee online when the online status is “pay the tuition”. The tuition fee should be paid within 2 weeks. 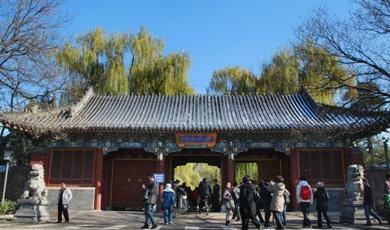 Successful applicants will also receive notice of their admission from Peking University via email. The admission letter and visa application form will be dispatched to the admitted students once the tuition fees have been paid online. Any student who wishes to withdraw from the program must submit a written request prior to registration. Upon approval, the tuition fee will be refunded in accordance with the guidelines. If the applicant requests to withdraw after registration, the tuition will not be refunded. N.B. Refunds will be returned to the original payment account. Transfer of commission is your own responsibility. Class hours: Monday to Friday, four hours per day (twenty hours per week). 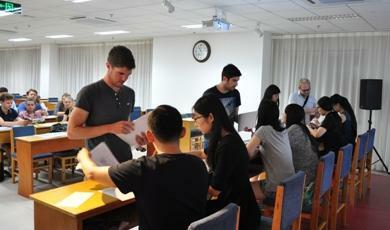 Mandarin course: All courses aim to improve students’ proficiency in Mandarin Chinese. 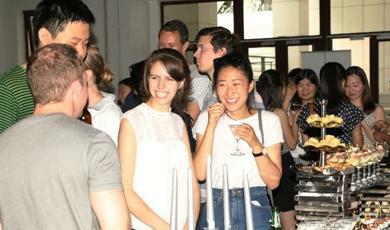 The compulsory courses are Intensive Reading and Spoken Chinese. All courses are taught in Chinese. 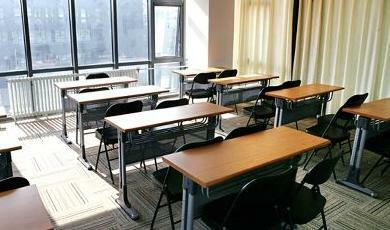 Class arrangements: Classes will be divided into 3 levels—elementary, intermediate, and advanced. Students will be required to take the Mandarin proficiency test before registering for classes. There will be no more than fifteen students in each class. Transcript and Certificate: Upon completion of the language course, those students who meet the assessment requirements will be issued with a certificate and a transcript. 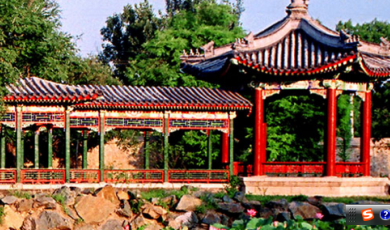 Extracurricular Activities: To enhance the students’ experience of China, PKU will arrange several visits to well-known scenic spots in Beijing, student exchange activities, and lectures of Chinese culture (in English and Japanese). Successful applicants should apply for a student visa via their local Chinese embassy or consulate by providing their ordinary passport, admission notice, visa application form and a number of other required documents. Information can be found online. 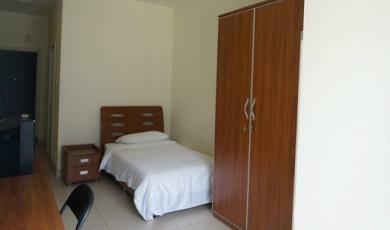 Accommodation is not arranged by the PKU Chinese Language Studies Program and is not included in the tuition fee. Accommodation should be arranged by the student. 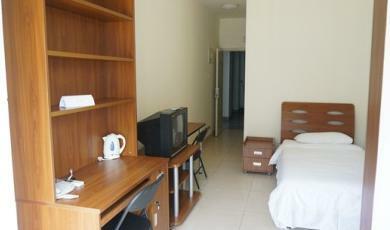 This allows participants to arrange accommodation that suits their personal requirements and budget. Beijing Buddy (www.beijingbuddy.com): Register on www.beijingbuddy.com OR send an email to Allen via allen@beijingbuddy.com to make a reservation. N.B. Students who live off campus must register at the local police station within 24 hours of their arrival. Students will receive a PKU student ID card upon registration, which can be used to purchase food on campus.